Tin Whistle is an easy to play and authentic sounding High-D Irish Tin Whistle / Pennywhistle! 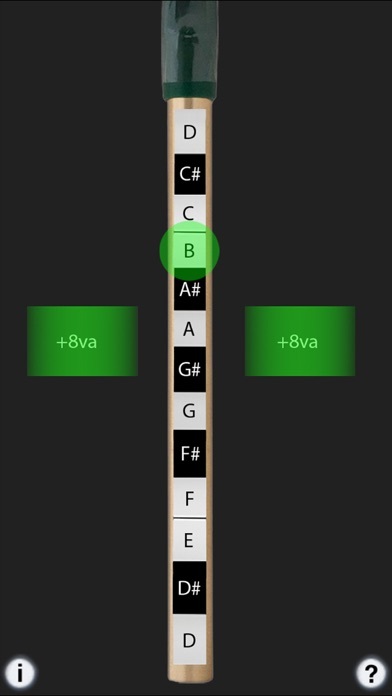 It can also be played from a MIDI chanter, keyboard, or other MIDI apps. The instrument is commonly used in Traditional Irish Music. The sounds are based on per-note samples from my own whistle collection. Touch the notes on the whistle to play. Like a real tin whistle, only one note may be played at a time. Touch the grey blocks next to the whistle to jump to the second octave. Touch the "?" to show/hide the labels. Touch the "i" to bring up the setting page where you can set the MIDI channel and bottom note. When OFF, uses D3 (MIDI Note 62). This is best for use with keyboards. 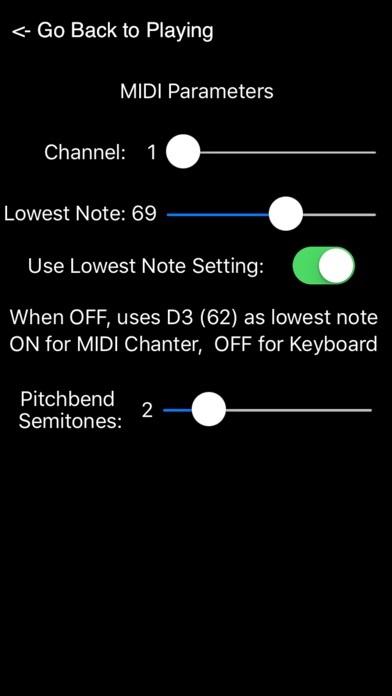 When ON, set the lowest MIDI note (default is for the Fagerström Uilleann Technopipes 69 - A3) to match your MIDI chanter lowest note. Range is from MIDI note 55 to 79. MIDI pitch bend response is based on the setting of the "Pitchbend Semitones" slider. Range is from 0 to 12 semitones. Default is 2 semitones. Also works as a sound module for other MIDI file player apps.